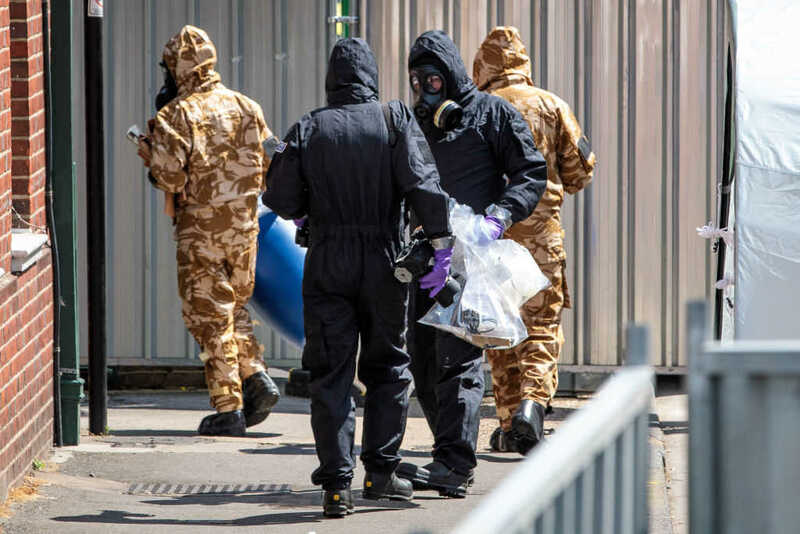 A murder case has been opened in the UK after a woman died from the effects of being exposed to a lethal nerve agent last night. Mother-of-three Dawn Sturgess, 44, died Sunday after collapsing in the South-West British town of Amesbury. It was later discovered that she and her partner, Charlie Rowley, 45, had been exposed to the highly toxic Russian-made nerve agent, “novichok.” Mr. Rowley is currently in critical condition at a local hospital and is said to be nearing death. The poisoning came two months to the day after a former Russian operative and double-agent, Sergei Skripal, was targeted in the nearby British town of Salisbury – located just eight miles away from the current exposure site. Skripal and his daughter, Yulia, were found slumped on a bench in the town center, suffering from the effects of novichok exposure. After spending weeks in the hospital, they are now reported to have fully recovered from the attack. Symptoms of novichok exposure can appear mild at first, but quickly become more severe and can result in coma, brain damage and even death. Sarin – the nerve agent commonly found in chemical weapons – is 26 times more potent than cyanide. Neurotoxin VX is 10 times more toxic than sarin. #Novichok, the substance used in the #RussianSpy poisoning is 5 to 8 times more toxic than VX. This is serious. Basu said it is likely that the pair were exposed to a “high dose” of the nerve agent when handling a contaminated object. Some have speculated that the pair got hold of an empty container which could have been dumped by the Russian assassin as they fled the scene in Salisbury following the attack. “Their reaction was so severe, it resulted in Dawn’s death and Charlie being critically ill. This means they must have got a high dose, and our hypothesis is that they must have handled a container that we are now seeking,” Basu noted. British Prime Minister Theresa May has said she is “appalled and shocked” by the woman’s death. “There have been no reports of any other incidents,” he added, according to the BBC. Those who tried to kill Ssrgei Skripal with Novichok presumably thought it would all be over in days, but here we are four months on, and a random member of the public has died, one week from the World Cup Final. The UK’s Defence Science and Technology Laboratory (DSTL) is, coincidentally, located just a fifteen-minute drive down the road from where the incident took place. This has caused some to speculate that DSTL has had some involvement in the poisoning, though this is an allegation they categorically deny. The facility, located at Porton Down, researches countermeasures to chemical attacks – it does not develop or produce chemical weapons.